blue manatee press, 9781936669714, 32pp. Snuggle with Mom for this sweet book about a mother as seen through her son's eyes. To him, she is a surgeon when she repairs his favorite stuffed animal, a chemist when in the kitchen, and an architect when they play with toy blocks. But no matter what happens, she is always his mama, and that's the most important thing of all! 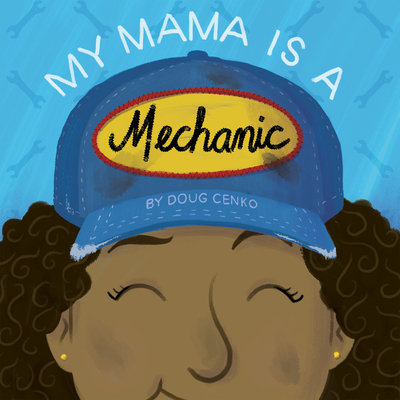 Doug Cenko is an author and illustrator living in Chicago, IL. He has worked at an animation studio, a live special effects company and design agencies, but illustration is what he truly loves to do. When he’s not drawing, you can find him—or better yet, not find him—mastering the art of hide-and-seek with his wife and daughter.